The Nikon D3200 is one of the leading entry-level DSLRs on the market and features an impressive 24.1-megapixel image sensor and 1080p Full HD video capability. Below is our list of the best lenses for the Nikon D3200, ranging from kit lenses (keep in mind that the camera comes with the 18-55mm VR included) to wide-angle and telephoto. You’ll notice that a lot of zoom lenses have distortion, particularly at the wide end, but the Nikon D3200 has a helpful automatic distortion control mode built into the camera. With the release of the newer Nikon D3400 and D3300, the D3200 is selling at a discount. What we like: Lightweight and good optics overall. What we don’t: Some distortion and softness. 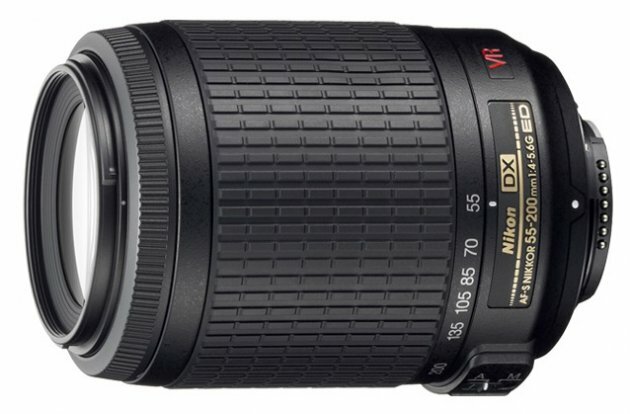 The D3200 is sold with the Nikon 18-55mm f/3.5-5.6 VR lens for $350 total, which currently is one of the best DSLR values on the market. This version of the 18-55mm is one generation old—Nikon has released a lighter weight 18-55mm VR II—but it’s still a great lens and captures sharp images, has vibration reduction, and weighs less than 10 ounces. You can expect some distortion, but this can be corrected in camera on the D3200. You also can add the Nikon 55-200mm f/4-5.6 VR below, which together with the 18-55mm offers nice coverage from wide angle to telephoto. Weight: 6.9 oz. ; 9 oz. What we like: Coverage from 18mm to 200mm at a reasonable price point. What we don’t: Optical performance is good but not great. For the D3200, two similar looking kits are offered with two lenses of the same focal lengths: 18-55mm and 55-200mm. For the purposes of this article, we only are including the Vibration Reduction (VR) kit. The reason is simple: we think you need Vibration Reduction and it merits the bump in price. The 18-55mm VR above includes this technology, and if you’re making the jump to two lenses, go with VR versions (you will thank us later). This point aside, this two-lens kit is a nice option for the D3200 that will have you covered from wide angle to telephoto with two lenses. We generally prefer a travel zoom with more reach like the 18-140mm f/3.5-5.6, but that’s not available with this camera and it feels silly to double up. As a bonus, the 18-55mm in the two-lens kit is the VR II, which is sharper and lighter than its predecessors. What we like: Inexpensive and a long zoom range. What we don’t: Marginal construction. For an inexpensive all-in-one lens to pair with the Nikon D3200, the Sigma 18-250mm Macro OS is a good option. Its biggest selling point is the price, which is hundreds of dollars less than either of the Nikon all-in-one options below. What are the downsides of this lens? There is an aperture drop-off at the wide end (the lens has Sigma’s Optical Stabilization technology) and some softness in the corners. But the Sigma is a few ounces lighter than the Nikon options, which is a nice bonus when lugging around your camera bag on vacation. When the lens is not in use, make sure to use the lens lock as it has a tendency to creep. What we like: A true all-purpose lens. What we don’t: Some softness and distortion. For those who want to cover virtually the entire spectrum of focal lengths without changing lenses, the new Nikon 18-300mm VR is an excellent choice. Released in 2014, the new version of this all-in-one lens is considerably lighter and cheaper than the old one, with the only sacrifice being a maximum aperture at the long end of f/6.3 instead of f/5.6. However, the changes are almost all positive and it’s currently the leading all-in-one lens for Nikon’s DX-format cameras. It’s true that the price is steep—nearly double the cost of the D3200—but the versatility in one lens just can’t be beat. What we don’t: Some distortion at the wide end. The Nikon 18-200mm VR II is an excellent all-purpose lens—it captures sharp images throughout its zoom range, has vibration reduction, and a sturdy build that should outlast your camera. Given its versatility, many people use the Nikon 18-200mm as the only lens in their bag for everything from wide-angle shots to close-ups. 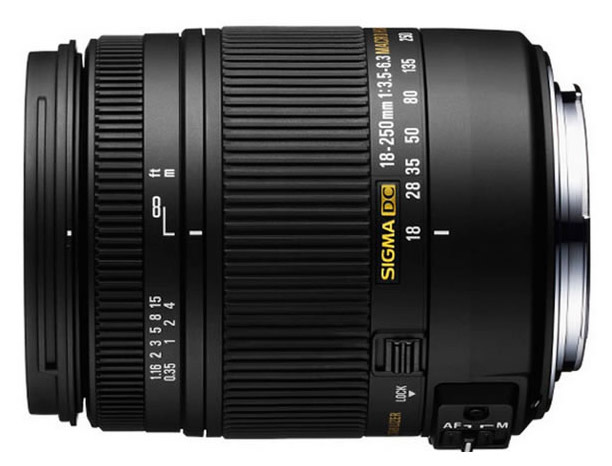 However, it is pricey compared to the Sigma 18-250mm lens above, and doesn’t have the long telephoto reach of the Nikon 18-300mm lens. These issues aside, it’s a terrific lens and a good value. 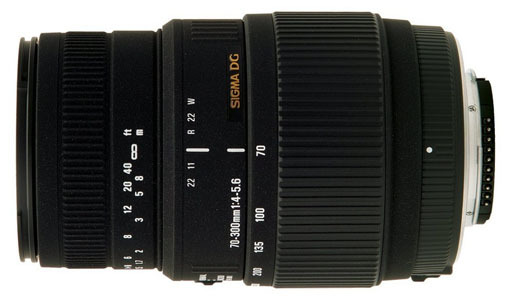 What we like: Another good value from Sigma. What we don’t: A bit soft in the corners. One of the weaknesses of the 18-55mm kit lens is the wide-angle end of the spectrum—the 27mm focal length equivalent is a bit wide for landscapes, and the distortion isn’t optimal either. 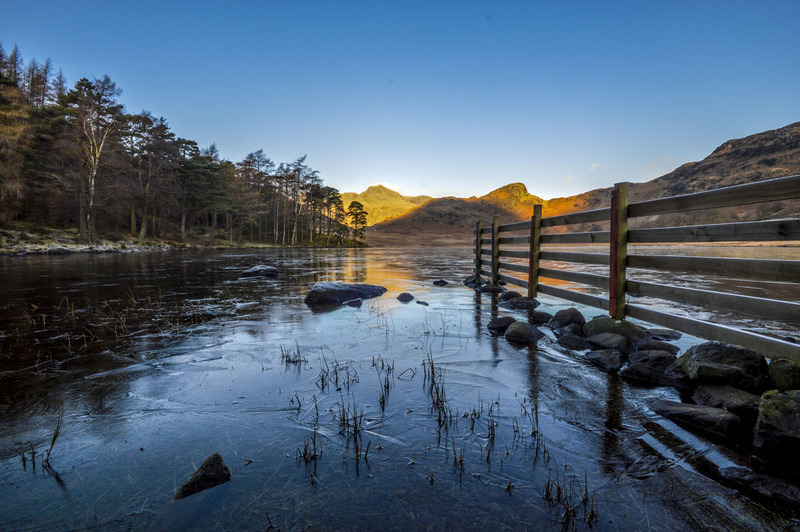 For those who want a wide-angle lens to pair with the D3200 without breaking the bank, the Sigma 10-20mm f/4-5.6 is our top pick. For a very reasonable $399, you get good optical performance and useful focal length range equivalent to 15-30mm on a 35mm camera. Why is the Sigma 10-20mm so much cheaper than other wide-angle zooms like the Nikon 10-24mm f/3.5-4.5? The maximum aperture range of f/4-5.6 is workable but not optimal, and the Sigma has more softness in the corners. 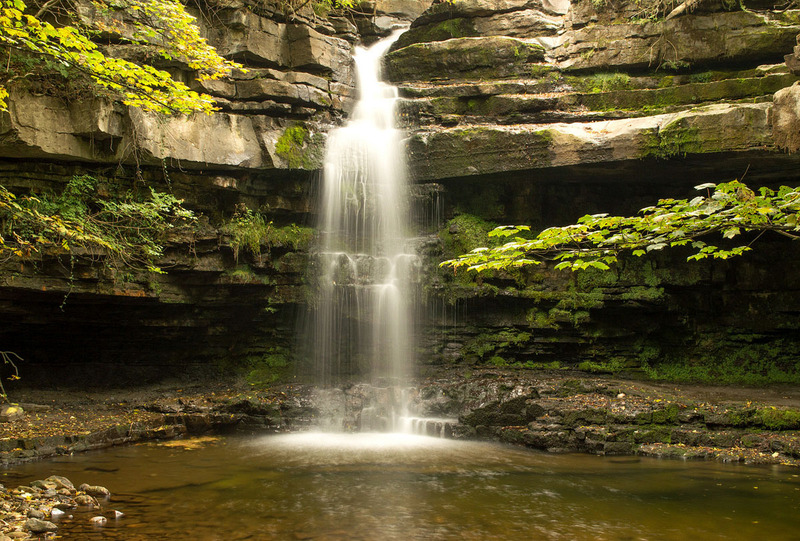 Both options are fine, but for the Nikon D3200 we prefer the Sigma 10-20mm. What we like: Excellent optical performance. What we don’t: Cost and overlap with the kit lens. 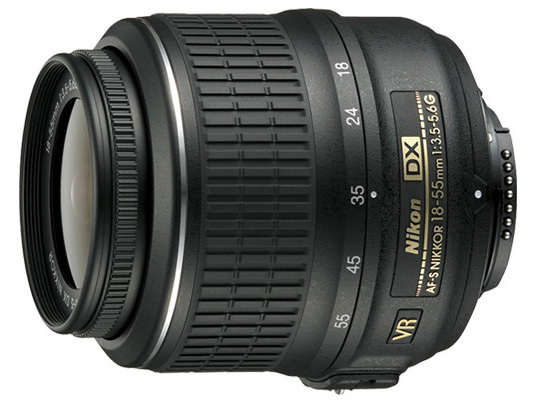 The Nikon 16-85mm VR is a high quality and versatile zoom lens covering focal lengths from wide-angle to close-up portraits. The lens is sharp, has fast autofocus, less distortion than the 18-55mm kit lens or all-in-one lenses above, and vibration reduction. The only thing not to like about this lens is the price (and because the Nikon D3200 comes with the 18-55mm f/3.5-5.6 included, the kit lens would be relegated to a backup). What we like: Inexpensive and excels in low light. What we don’t: Plastic build. There aren’t many negative things to write about the Nikon 35mm f/1.8. It’s cheap, captures sharp images, has a durable metal mount, and shoots extremely well in low light. You won’t find a better prime lens for travel, portraits, and everyday life. One minor weakness of the Nikon 35mm f/1.8 is that aside from its metal mount, the lens has a plastic build that won’t last forever (this isn’t a huge risk considering the price). What we like: Extremely sharp. What we don’t: Technically an FX lens so a bit pricey. 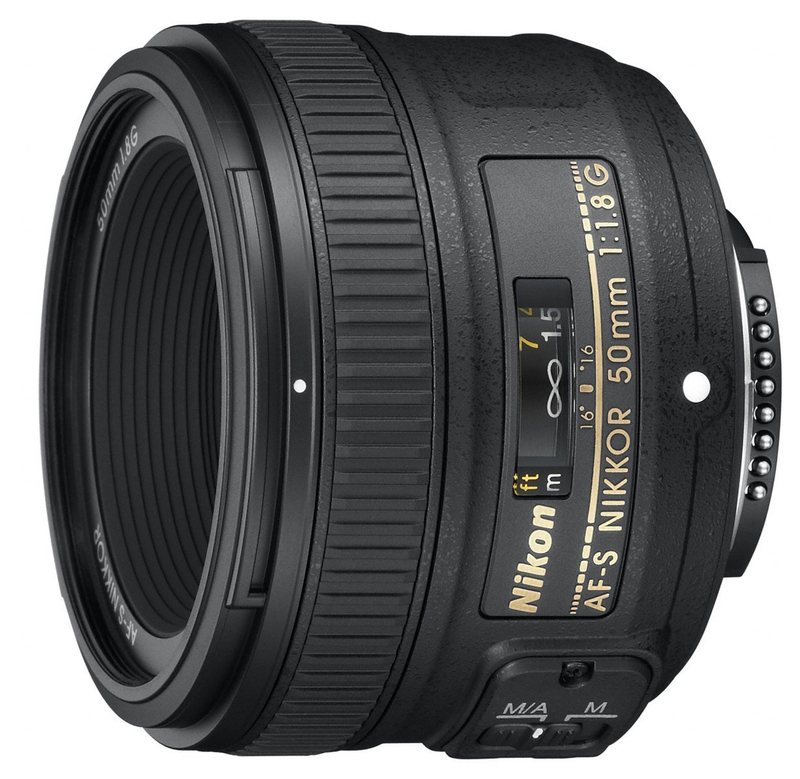 Similar to the Nikon 35mm above, the popular Nikon 50mm f/1.8 is a great prime portrait lens at a low price. This technically is an FX (full-frame) lens, but it’s fully compatible on the D3200 with a focal length equivalent to 75mm. In terms of optics, it’s one of the sharpest lenses in Nikon’s lineup, performs well in low light, has fast and accurate autofocus, and good bokeh. And despite a metal mount, the 50mm f/1.8 weighs just 6.6 ounces. The only real downside is that you’re paying up for FX (but not too much). What we like: Low cost, lightweight. What we don’t: Plastic mount. Given that the Nikon D3200 comes with an 18-55mm VR included, it’s easy to add a telephoto zoom to cover the full spectrum of focal lengths. The Nikon 55-200mm VR comes with vibration reduction and a Silent Wave Motor that focuses quietly and quickly (most of the time). This isn’t a telephoto zoom for professionals, but it’s a nice versatile walk-around lens that will make most amateurs happy. This lens is similar in optical quality to the Nikon 50-300mm below but has a plastic mount, is lighter, and cheaper. Of course, it also has a shorter maximum focal length at 200mm. What we don’t: Autofocus can be slow. 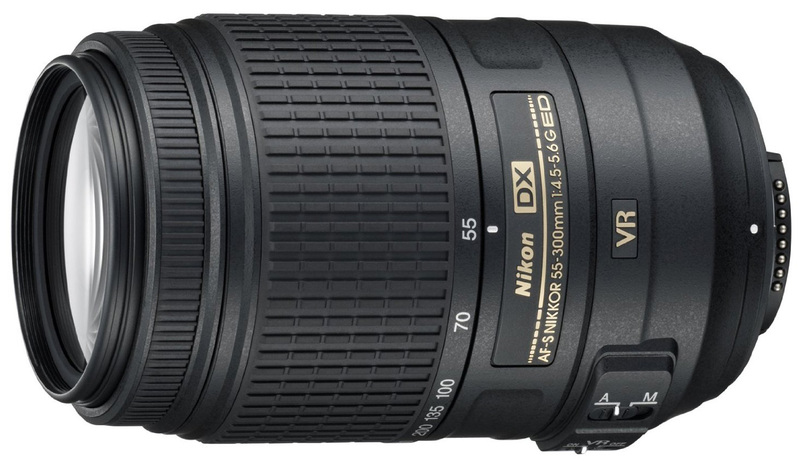 If we had to pick one telephoto zoom to pair with the D3200, it would be the Nikon 55-300mm VR. The aperture ranges are similar and both feature vibration reduction, but with this lens you get an equivalent zoom of a whopping 450mm (anyone who has shot wildlife can tell you that this makes a difference). There are some shortcomings of this lens: it’s heavier than the 55-200mm and the autofocus is slower. But you still get sharp images for a telephoto zoom and distortion can be corrected in-camera. For a cheaper telephoto zoom to pair with the Nikon D3200, try the Sigma 70-300mm f/4-5.6 below. What we like: Inexpensive and extra long zoom range. What we don’t: Poor in low light and no image stabilization. If you don’t think you’ll use a telephoto lens often but still want one in you bag as a backup, the Sigma 70-300mm Macro is a nice option. As in the norm with a lens of this type and price point, you can expect some softness and the autofocus has a tendency to hunt. This lens also lacks optical image stabilization, and given the maximum aperture of f/4-5.6, it will be tough to shoot sunsets or other low light scenarios. But you can’t argue with the price, which is why many people choose the Sigma. The D3200 represents some serious technological advances over the past few years, but it’s still an entry-level DSLR built for learning (and sticking to a budget). 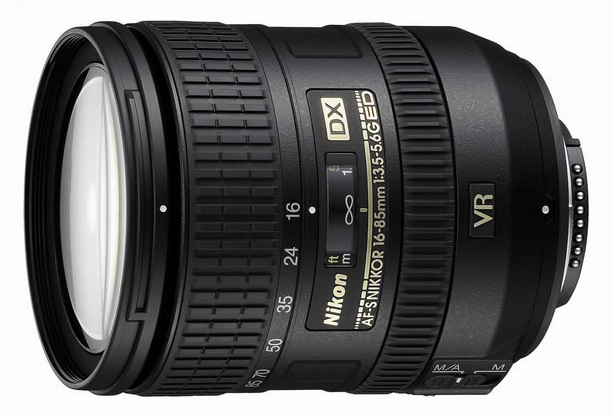 Accordingly, we recommend getting started with the 18-55mm VR and 55-200mm VR kit. Look carefully: a similar looking kit is available with lenses of the same focal lengths, but the VR version is substantially better. 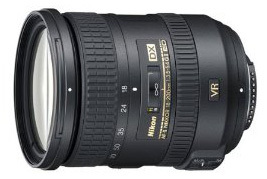 Not only does the 55-200mm have Vibration Reduction, the 18-55mm VR II is Nikon’s latest rendition that is sharper and lighter than its predecessors. If the D3200 camera body were sold on its own, we would recommend adding a superior travel zoom like the 18-140mm f/3.5-5.6. This option would give you more focal length flexibility than the 18-55mm without changing lenses, not to mention it’s superior optically. But given that an 18-55mm lens is included with the body no matter what, it doesn’t make a ton of sense to double up on zooms. As you grow your photography skills, consider adding a prime lens like the 35mm f/1.8 or 50mm f/1.8. Both lenses are great values and will help you achieve the low light performance and smooth bokeh that just aren’t possible with slower zooms. The good news is that should you decide to upgrade to a Nikon DX camera with more features, you can take your lenses with you. As we touched on above, make sure to play close attention to the D3200 kit you are considering. To summarize, the 18-55mm kit comes with the older VR lens, not the newer VR II. The two-lens non-VR kit (with the 18-55mm and 50-200mm) may seem very attractive because of the low price, but we have some serious hesitations. Neither lens is particularly fast and Vibration Reduction matters quite a bit (it can make up for a couple of stops at least). Particularly for telephoto photography when hand-held shots are challenging and autofocus is at a premium, we depend heavily on our Vibration Reduction. It’s nearly impossible to even find these non-VR versions apart from inexpensive kits (for good reason), and we would pass in favor of VR lenses. You’ll notice that we prefer zoom lenses for the D3200, which offer more bang for your buck in terms of focal length coverage. Primes are great: they are faster, sharper, and have less distortion than zooms, but they don’t offer nearly as much versatility. Most people who are considering the D3200 are buying their first digital SLR or don’t have a big budget for lenses. We often recommend spending up for lenses, and particularly for enthusiast and full-frame DSLRs, but the D3200 is about getting out and learning the art of photography. Remember, you can always add primes down the road. After a lens’s focal length you’ll see an f-number, or f-stop, which represents the aperture. Aperture is the size of the lens opening through which light passes, and the lower the f-stop (f/3.5, f/2.8, etc. ), the larger the opening and the more light can enter. You can see the full f-stop scale here, but keep in mind that lower numbers make for more desirable lenses. If there are two numbers—f/3.5-5.6, for example—the first number is the maximum aperture at the wide end and the second represents the long end. 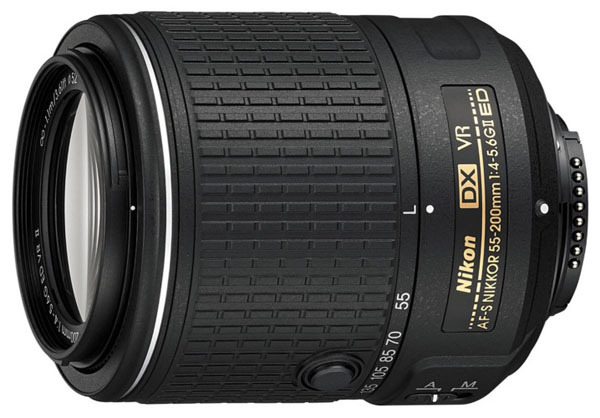 Most Nikon zoom lenses for the D3200 are f/3.5-5.6, which is respectable but not great in low light. Vibration Reduction certainly helps and f/3.5-5.6 will perform fine in most normal lighting conditions and even some challenging ones. Lenses that are f/2.8 and faster are nearing professional territory and can help you achieve the low light photos and the creamy bokeh (blurry background) that people love. Some fast prime lenses are f/1.8 or even f/1.4, and the price goes up and aperture goes down. Aperture is something to think about, but not necessarily worry about just yet, as a beginning photographer. When piecing together your D3200 camera bag and starting to invest in lenses, it’s smart to start thinking about what would happen if you were to upgrade cameras down the road. 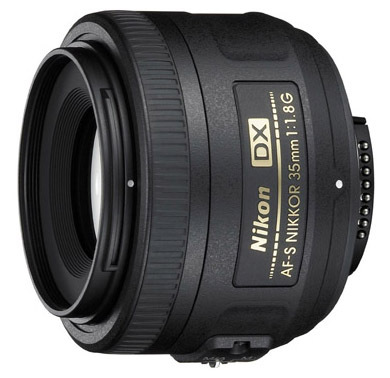 All DX-format lenses that you buy for the D3200 will be compatible on all Nikon crop-sensor cameras. If you decide to step up to the enthusiast Nikon D7200, for example, you can bring all of your lenses with you. Most of Nikon’s FX (full-frame) lenses are compatible on DX cameras like the D3200, but simply put, they are way too expensive for this camera. In addition, the area of the lens that extends beyond the crop-frame sensor automatically will be cut out of the photo, and therefore you won’t be utilizing its full capability. If you already own FX lenses, you can try them on your D3200, but we heartily recommend against buying them specifically for this purpose.